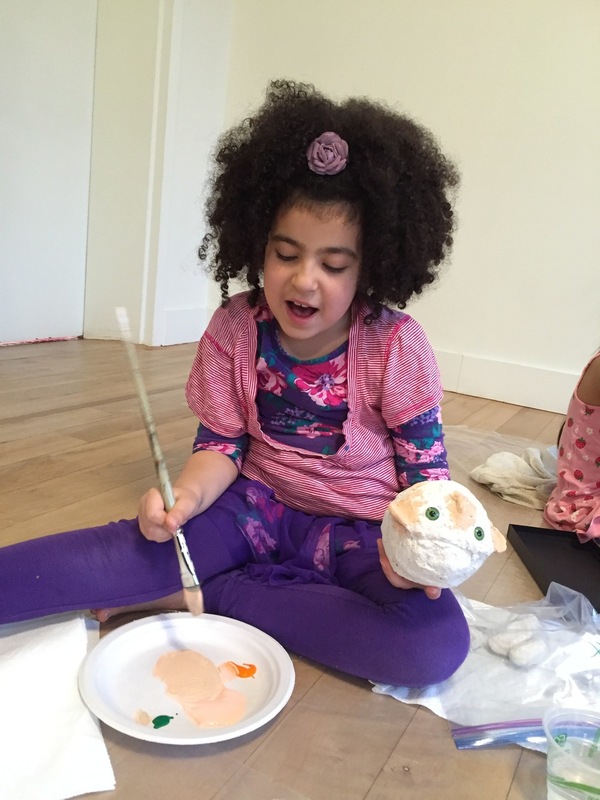 We enjoyed our mid-winter break but are happy to be back on "Planet Pono!" This week's student-led class found us practicing soccer drills in Marcus Garvey Park! Pono friend Zuri taught us how to zig-zag the ball around cones and make a goal. Zuri proved to be an excellent coach and encouraged the others as they aimed for the net. Then it was time for a friendly scrimmage. What an invigorating way to start the day! Pono parent and chef George Duran taught a lesson about tubers. 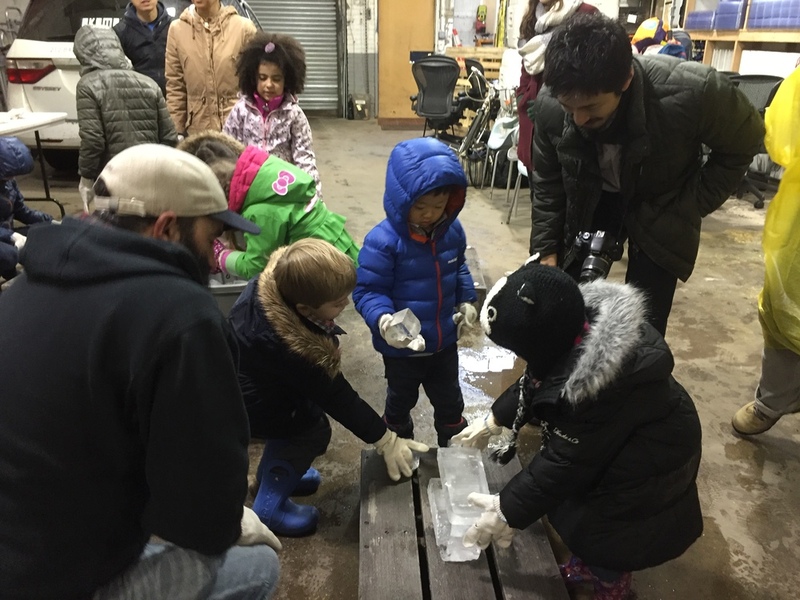 The children learned how roots differ from tubers and examined the tubers George had brought, including yams, purple potatoes, batatas (white sweet potatoes), and yucca. None of the children (except Jasper!) cared for the taste of boiled yucca, but when George crusted it in cornmeal and deep fried it, everyone gobbled it up! 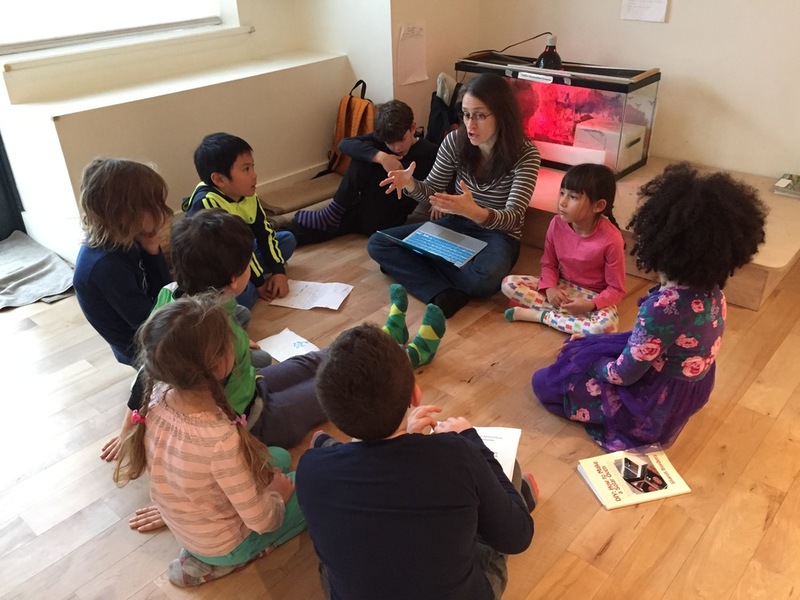 This week Dr. A and the older children discussed alternative forms of energy. Several of the children were eager to share information from research they had done over the mid-winter break. The group also began talking about possible projects they could do next term to test their ideas about solar power, wind power, hydropower, and bio-fuel. Math instructor David D'Alessio met with our older students, individually and in groups, to work on various math concepts. The topics included an introduction to algebraic variables, long division, "long multiplication," skip counting and its connection to multiplication, and multiplication rules. It was time to make more Pono products, which requires basic multiplication. It takes a lot of math to mix up a perfect batch of all-natural hand sanitizer! This week in literacy the younger students had their first multiple sound word hunt! Julietta hid four copies of two sight words and short a, e, and i words the students had written. They found them, read them out loud, and matched them to words on the wall. Some words were five letters long–the children felt very proud! 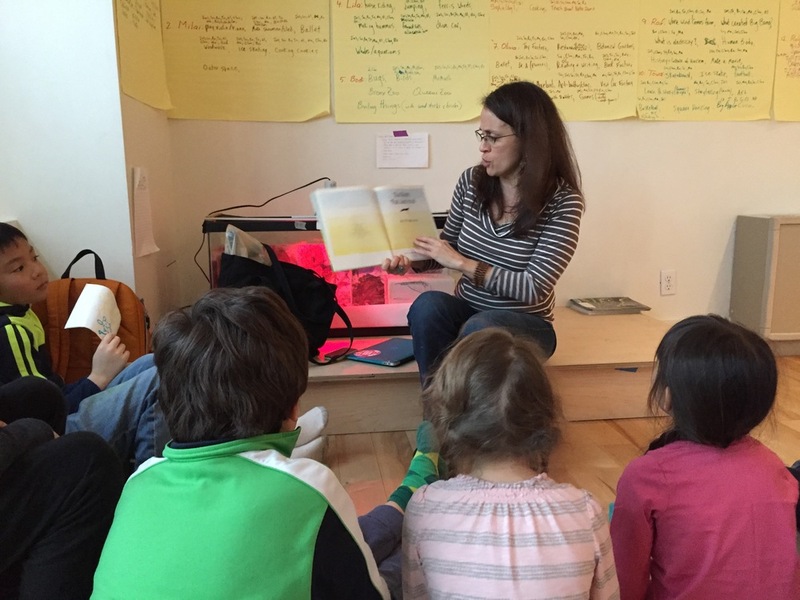 The older children's book club met this week. One group finished writing about Tedd Arnold's There Was an Old Lady Who Swallowed Fly Guy and enjoyed two other books of their own choosing. The other group finished reading David Sutherland's Samantha Cardigan and the Ghastly Twirling Sickness. They're ready for more! 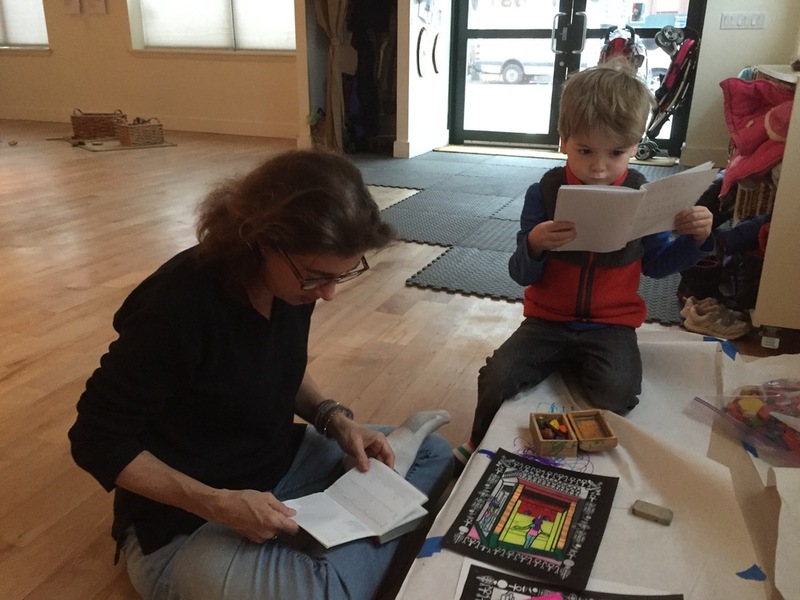 Literacy volunteer Deb Heineman worked with several of our youngest Pono friends this week. Bodi felt very pleased to complete his "Bird Book" and is ready to start a new title! 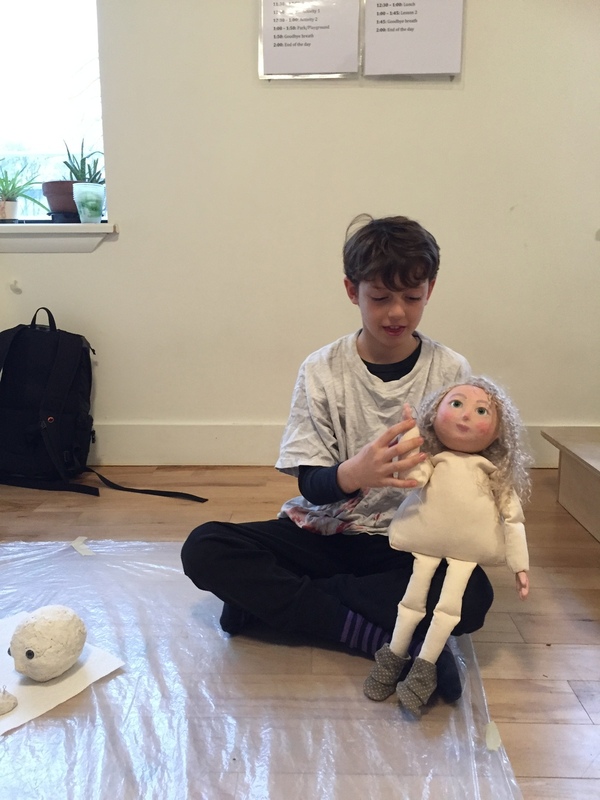 The children met with Poppy Luca to add more touches to their marionettes. 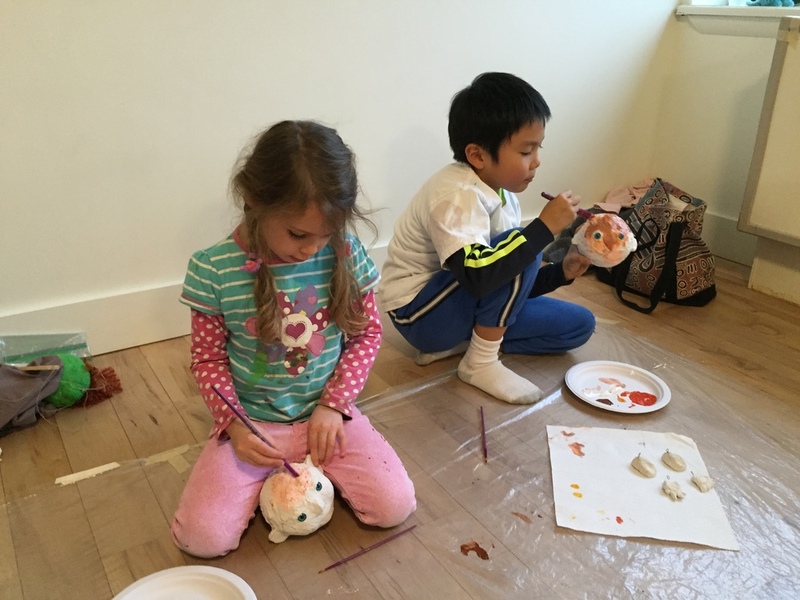 They experimented with mixing colors and painted their puppets' faces. And everyone delighted in seeing a doll Poppy recently made! Space was the place this week! 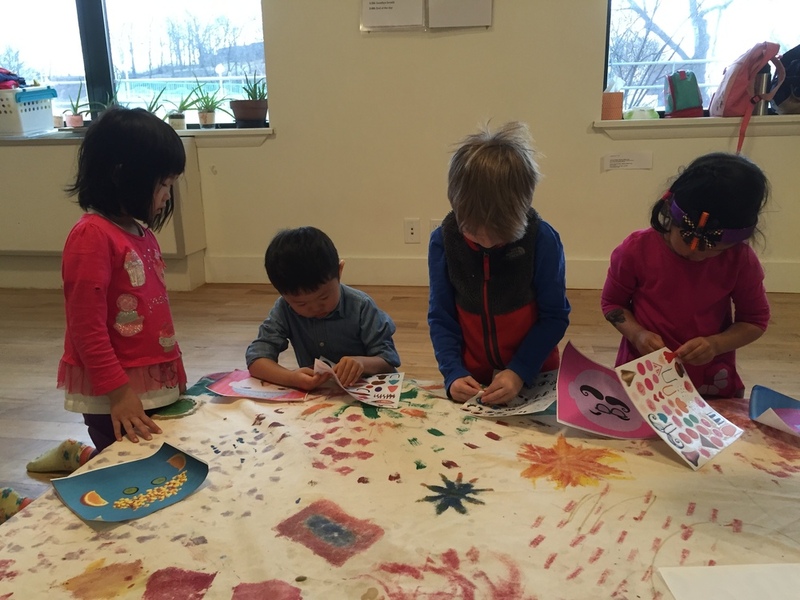 Ali read a National Geographic book about our solar system and then our youngest Pono friends crafted their own planets and painted galactic backgrounds. Kate and our littlest Pono amigos and amigas talked about parts of the face in Spanish. Then the children made imaginative pictures illustrating una cara. Our students refer to each other as Pono friends. It's easy to see why! 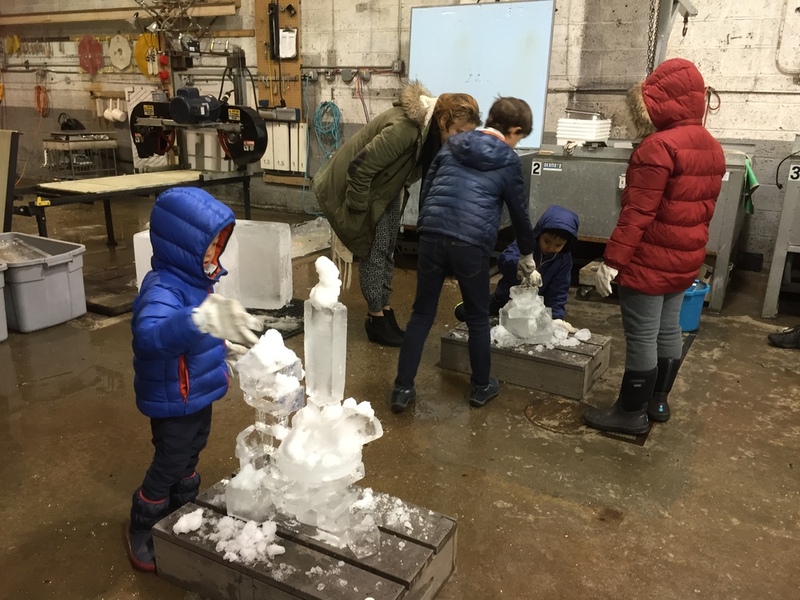 This week we visited Okamoto Studio in Queens, where we watched ice sculptor Shintaro Okamoto put the finishing touches on a regal looking dog. 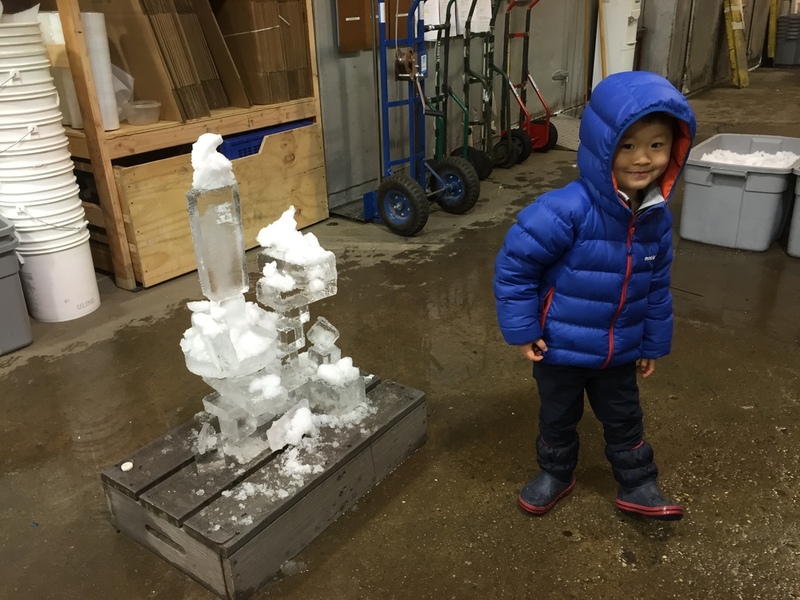 Shintaro explained the tools of his trade, the process of making an ice sculpture, and how his father founded the studio. 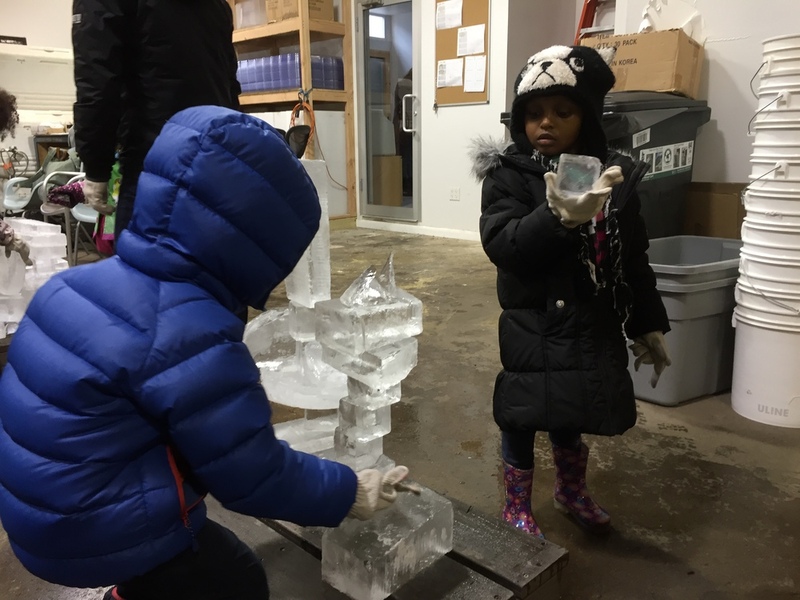 Then he let the children explore the art of ice. 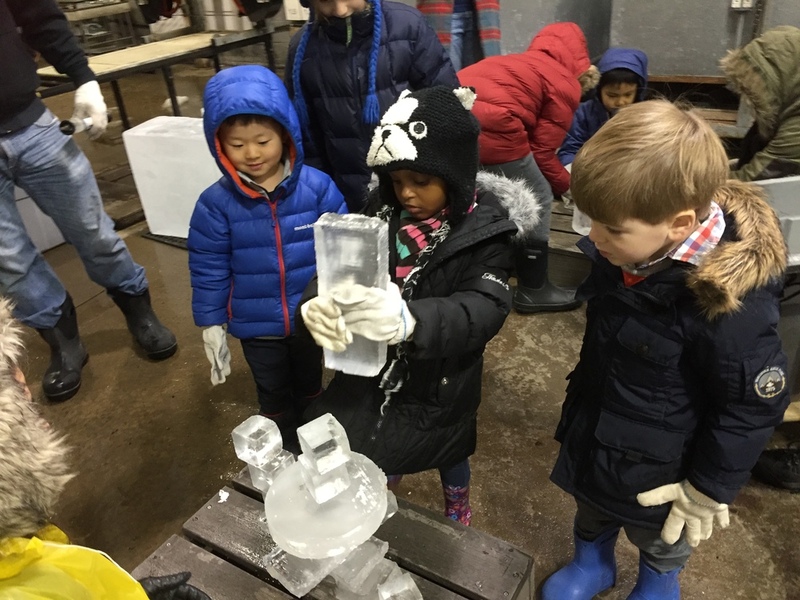 They worked in groups to balance pieces of ice and quickly learned that water can act as glue. 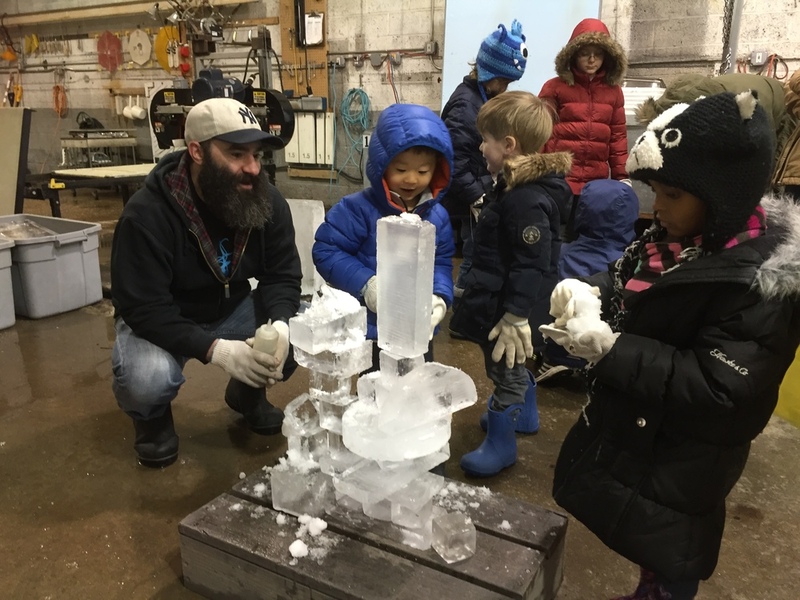 It was exciting to see four unique sculptures take shape. 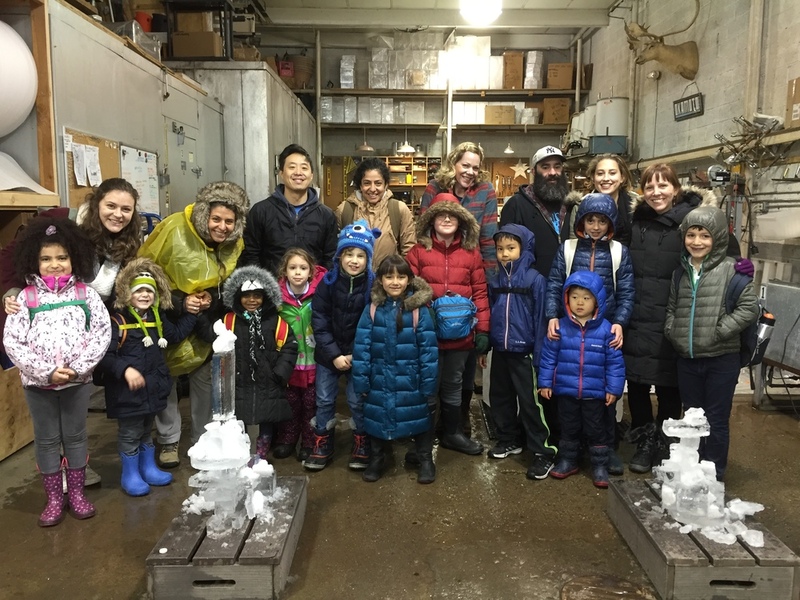 And despite the chilly working conditions, Shintaro and his team's hospitality kept us warm the whole visit! 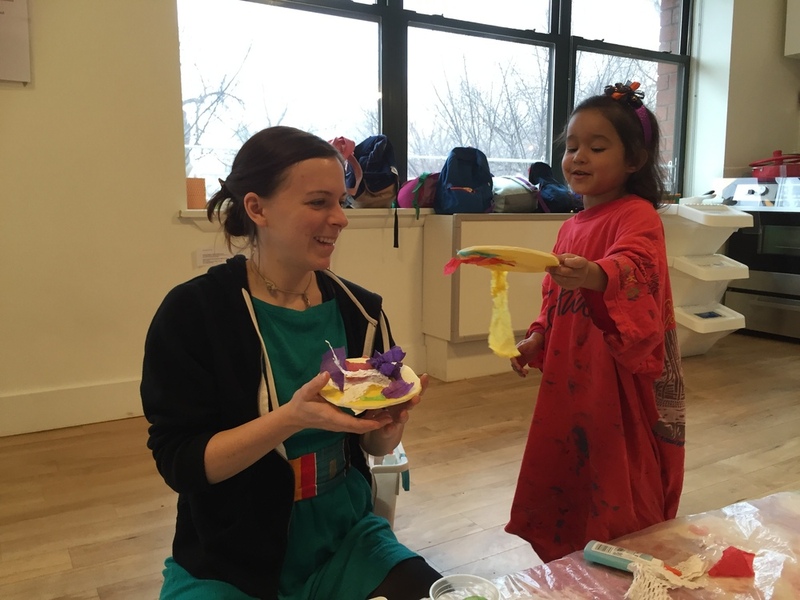 We celebrated Pono friend Milai's birthday with a trip to Puppetworks, Inc. in Park Slope, Brooklyn, where we enjoyed a version of "Alice in Wonderland" adapted for marionettes. The children watched wide-eyed as Alice stepped through the looking glass and met various Wonderland characters. After the performance, one of the puppeteers met with the audience to answer questions about the production and about marionettes. Creativity is in the air! The songwriting class has been composing lyrics and singing with Ali Dineen. 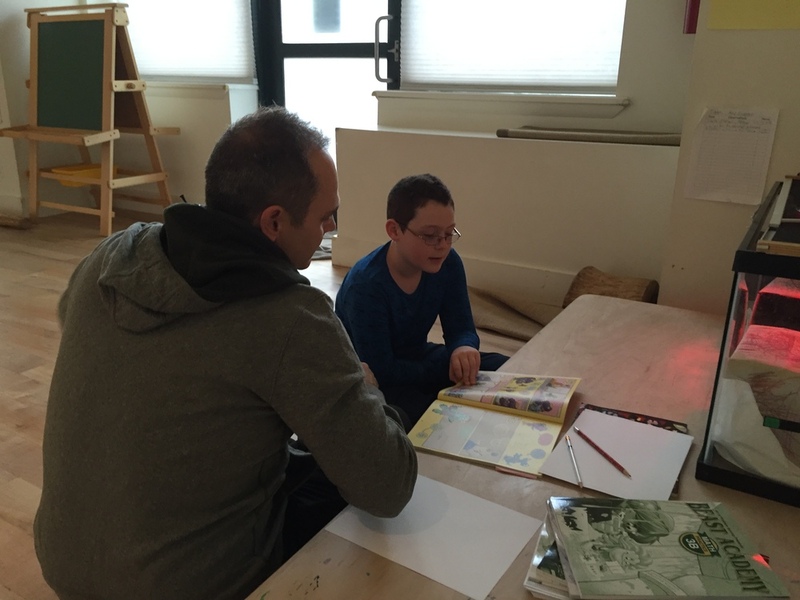 This week Poppy Luca guided Pono's comic book artists as they painted scenes from their narrative. Things are really coming together!